Tarp Update: In early March a field tarp was donated to the HDL. When we untangled the tarp in early February, the tarp was only 100′ X 50′. This small size will not be effective during inclement weather. A second “used” tarp was donated but it is only 75′ x 50′. Aaron Sinzheimer and Jodie Wolfe have offered some large tarps to the HDL that will add possibilities to this effort. 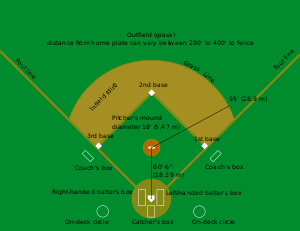 The HDL needs a field tarp to avoid rainouts. Modified Vehicle Gate. Added vertical board to deter unauthorized entry inside field area. Attached chain to board so it will stay attached to gate. Monthly: Weedeat around Batting Cage. Any day weather is warm and dry. Call or sent text to 827-6830 to check activities that might be planned. Repaired pitcher’s Screen in Batting Cage. Third Base Dugout completed. This project was requested by LeMoyne Owen Baseball Head Coach and their promise to help pay costs. 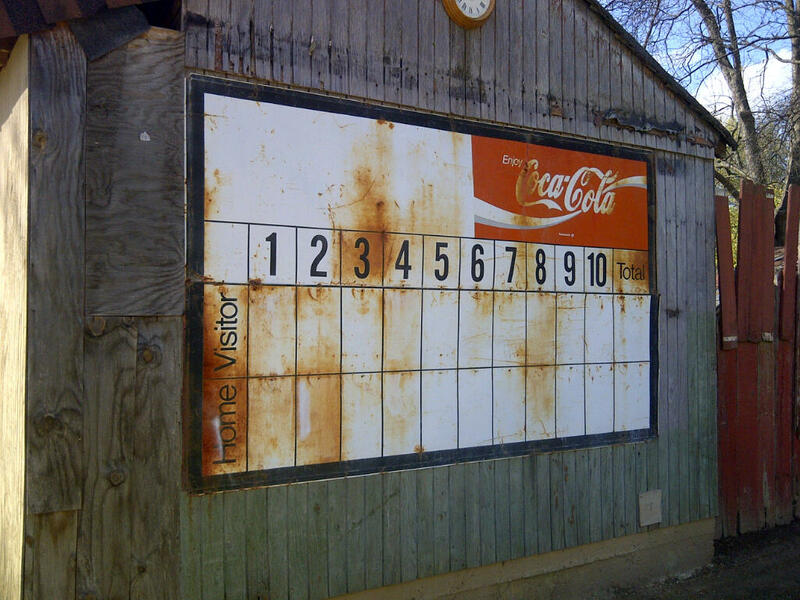 Ray Reinhart donated this vintage scoreboard to the HDL. Scoreboard installed by start of season. Old scoreboard needed refurbishing but the effort will be worth it. It works, rain or shine. Grahics will be added before end of season.